It’s an all-Louisiana episode, taped at the legendary Dockside Studio. Our episode opens with the legendary Ton’s Drive-In, located in Broussard. Hollie Girouard is the third-generation owner / operator of this family eatery that’s been dependably serving up comfort food classics for breakfast and lunch since 1963. 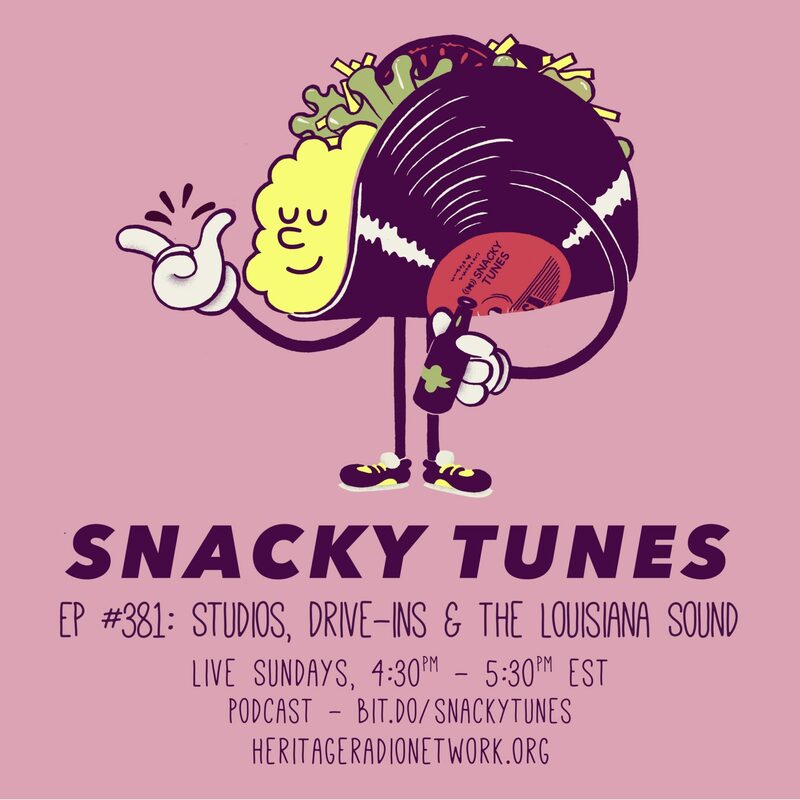 For the return of “Snacky Tunes 5’s” we sith with Justin Tocket, engineer at the storied Dockside Studio, who takes us through its history. Located in the heart of Cajun Country, Dockside has been home to sessions from such talents as Allen Toussaint, B.B. King and Arcade Fire. Finally, we are treated to the old soul, three-time Grammy nominee Roddie Romero. Showcasing the modern day Louisiana Sound, Roddie’s been performing Cajun and Creole music live since he was in middle school, and has led the band the Hub City All Stars for nearly 30 years.